The previous posters for The Wolverine have done a fantastic job conveying the tone of the graphic novel. They make the statement that the film is completely different from previous incarnations and that the character of Logan has evolved. The previous posters have also been able to capture the juxtaposition between Logan and the restrained and honorable Japanese culture that surrounds him. 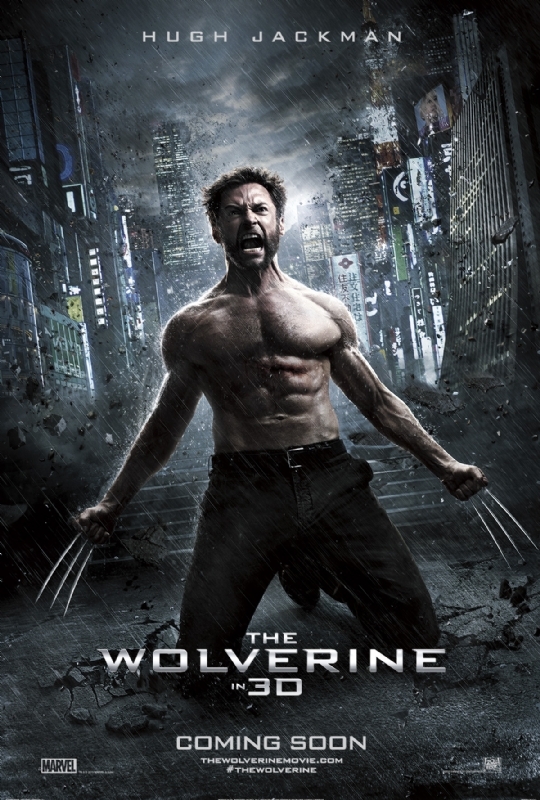 The above posters only manage to convey that Wolverine is angry and in pain. We have already seen this countless times before and this was the opportunity to capitalise on the suggested violence in the movie. A black background with a black and white Logan hunched forward with bright red blood dripping from his claws would have spoke volumes and generated a lot more buzz than the lack luster representations above. The new stills of the film (you can view there other six here) are disappointing for two reasons. The first is that the present the film as an ultra glossy Hollywood film opposed to the gritty and stylistic approach hinted at through released media. The second is that the main characters of the film look like comic book characters. Much like Richard Donnar’s Superman and Christopher Nolan’s The Dark Knight, the characters and events depicted on film are treated seriously. The world in which the live in is tired, beaten down by crime and helps to represent the Superheroes as a beacon of hope. The costumes used by the villans (and in some cases the heroes) are also rooted in reality. The costumes worn by the characters above look absurd and have no place or origin from the real world. I also have to question Viper’s blonde hair and blue eyes as Japanese people are fascinated with them. It’s common for women with blonde hair to be followed by gangs of Japanese people who even tempt fate by touching and pulling their hair. In essence, this is something to be marveled at. This contradicts the name Viper as it is a recognisable snake to be feared, not played with. I hope this is addressed within the film as it could present an interesting concept. In the west she is feared and excluded from society because she is a Mutant and in the East because she has blonde hair and blue eyes. I suspect that any research into the topic has been completely disregarded and will skip over a fascinating opportunity to flesh out the character. The connotations of Japan is that there are two contrasting worlds living side by side. When I was in Kyoto this was very evident as I was sitting in an ultra glossy, very modern Starbucks that looked out onto an ancient temple with monks going about their business. I don’t think I will ever forget seeing a Buddist monk dressed in orange robes with bright white Nike trainers and listening to his iPod. Judging the stills, the fascinating concept of the old world mixed with the new, seems to be disregarded. I can live with a highly polished world if it is done to represent western influence and technology. It would also highlight the old world’s weathered and mysterious look. In terms of style, the film could perhaps be tailored to look like a Blade Runner techo-noir when based within areas such as Tokyo. To oppose this style, the film could perhaps bend towards a more muted pallet mixed with harsh shadow and fog to represent the mystique of ancient Japan. Kurosawa was a master a capturing the magic of ancient Japan and latterly John Carpenter adapted this style for his film Big Trouble In Little China. Looking at the stills above I really have to question James Mangold’s passion for the source material. This film had the potential to really stand out stylistically in a way that wouldn’t have detracted from the story or the Universe surrounding it. 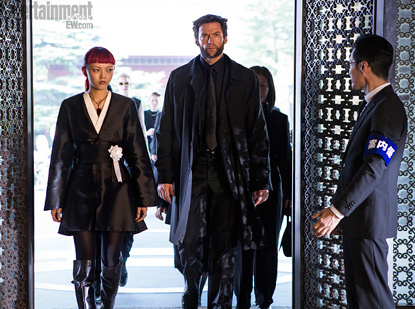 Flat glossy crap is not the way forward and my expectations of The Wolverine have dipped considerably. 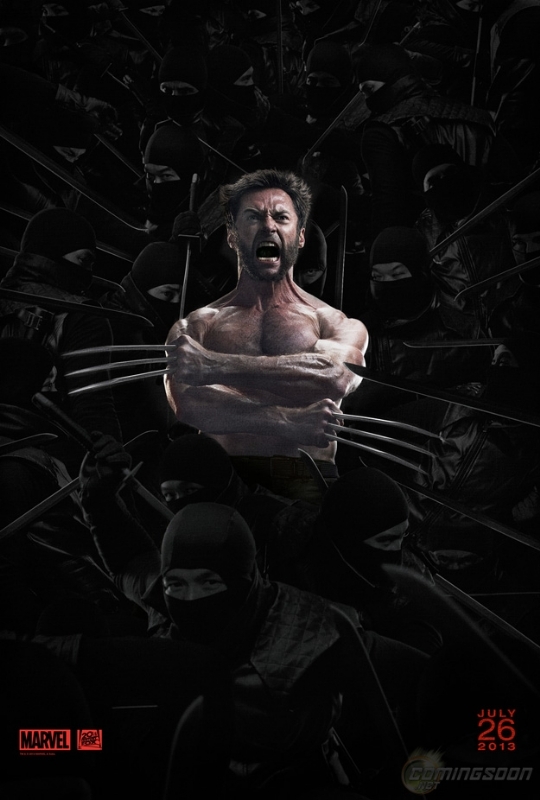 The Wolverine 2013 Trailer Has Leaked! James Mangold Talks The Wolverine!